With 84% of buyers starting the buying process through a referral, it is more important than ever to have strong and lasting client relationships. 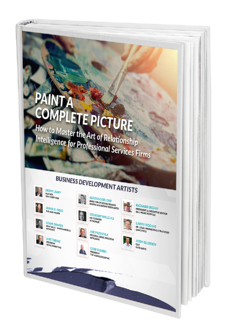 Are your ready to master the art of relationship intelligence within your professional services firm? Download Paint a Complete Picture to get started with insights from business development experts like Jaimie B. Field, Jennifer Klyse, Brent Leary, and more.